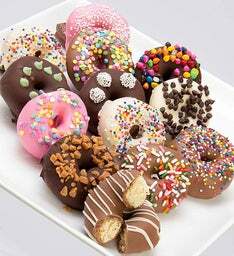 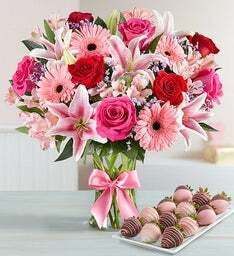 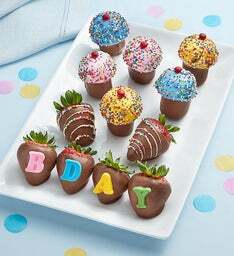 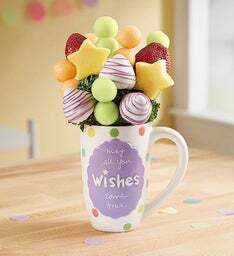 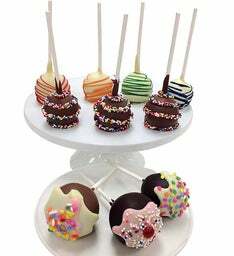 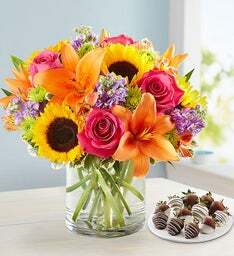 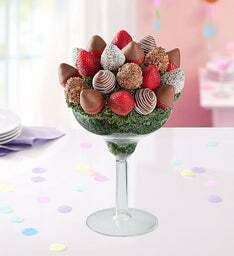 Make her birthday celebration the sweetest one yet with one of our delicious dipped arrangements! 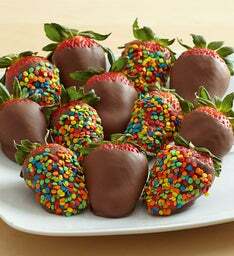 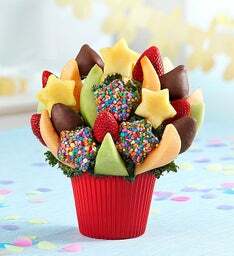 Handcrafted using an assortment of juicy, ripe fruit, these unique treats are the tastiest way to get her party started! 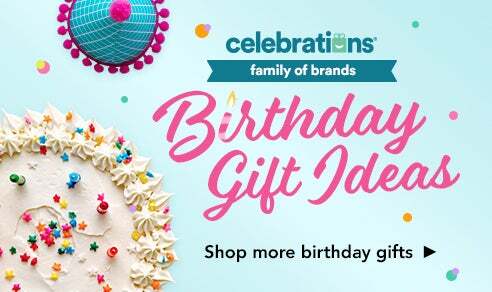 Tired of getting her the same gift every year? 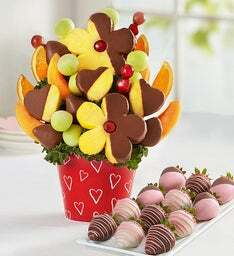 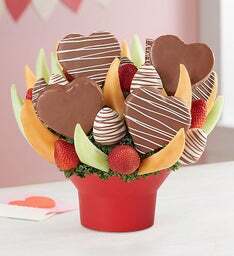 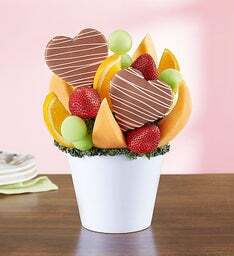 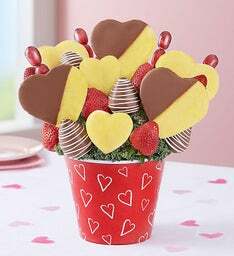 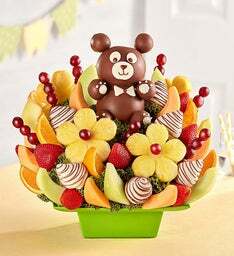 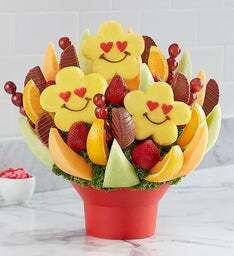 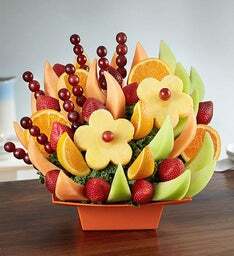 Surprise her with something sweet and unique, like a fresh fruit delivered arrangement. 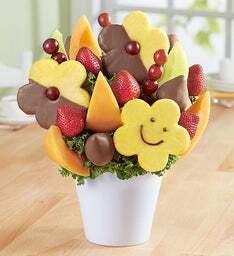 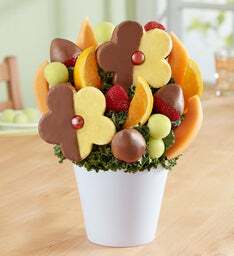 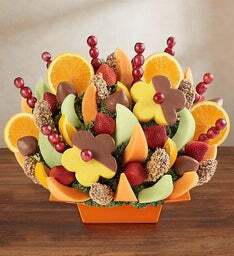 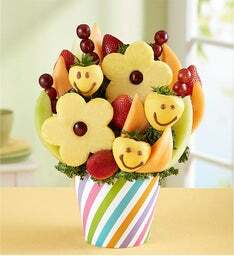 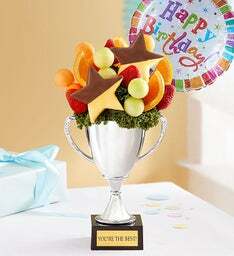 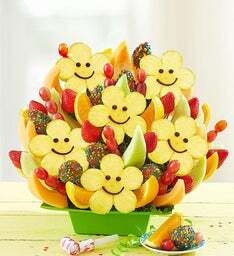 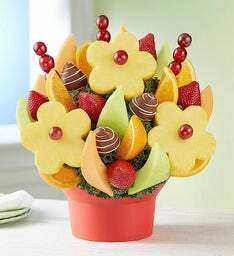 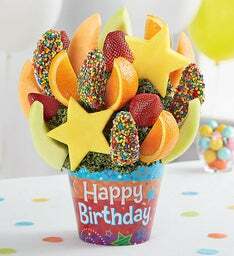 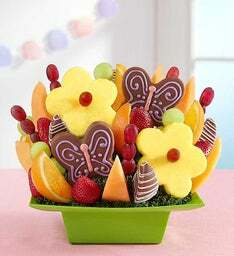 Sending a lovingly, handcrafted fruit bouquet will make her birthday one she will never forget! 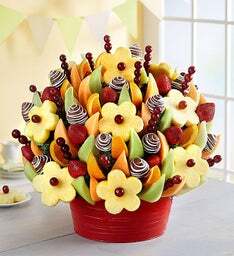 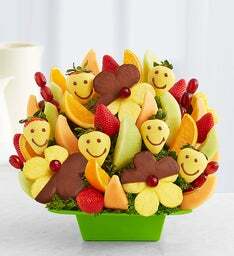 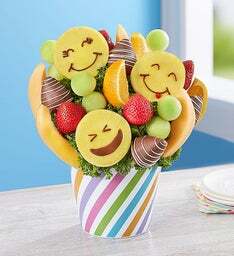 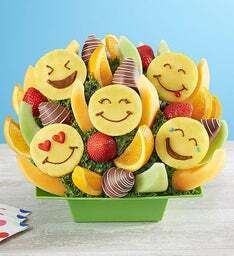 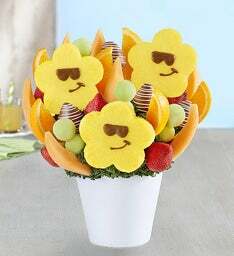 When The Fruit Bouquet Arrives, That Means It's Time To Party! 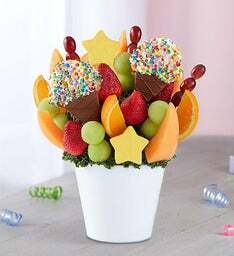 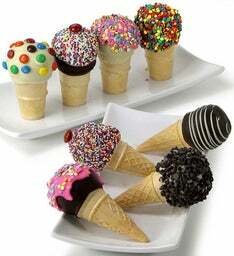 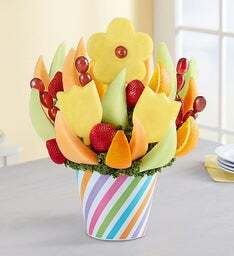 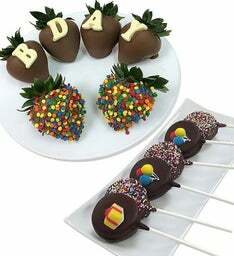 Here at FruitBouquets.com, we have plenty of birthday fruit treats that any woman in your life will love. 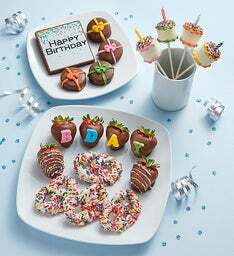 We have tons of birthday gift ideas for her. 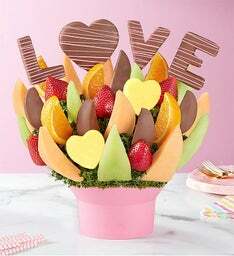 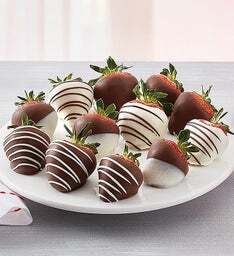 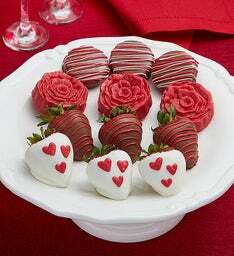 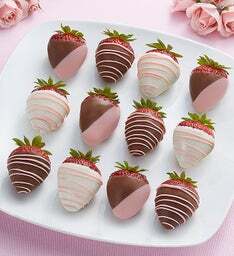 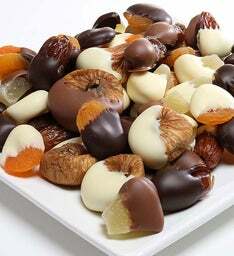 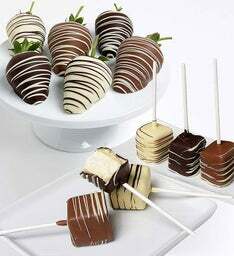 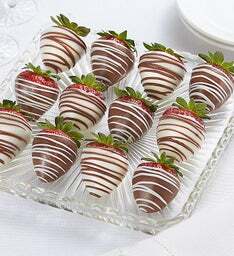 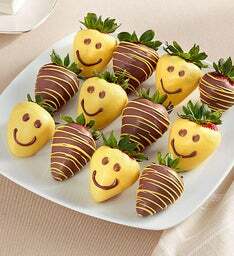 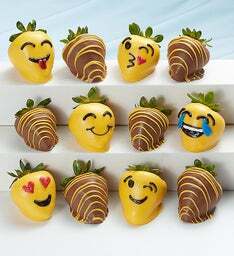 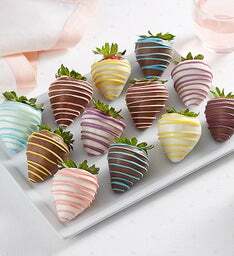 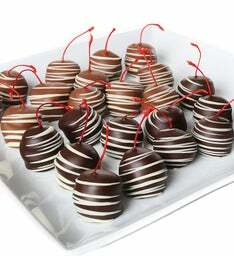 For your wife or girlfriend, shop our love and romance fruits, full of heart shaped fruits dipped in chocolaty goodness. 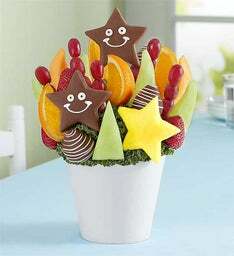 For your friend, check out our best sellers for a selection of our top fruit gifts. 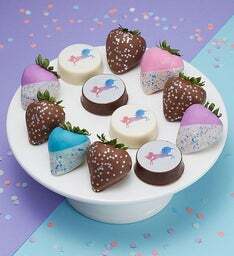 Have a little girl you want to surprise? 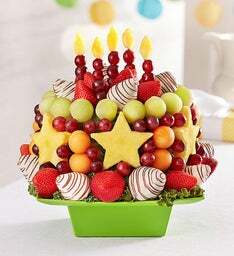 Send the little lady a fruity, sweet treat from our birthday for kids collection. 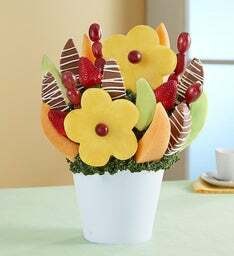 Don't forget, fresh cut flower bouquets and floral arrangements from 1-800Flowers.com® are the perfect addition to any fruit gift!